Finally an odorless gun and bow oil that doesn’t spook game! 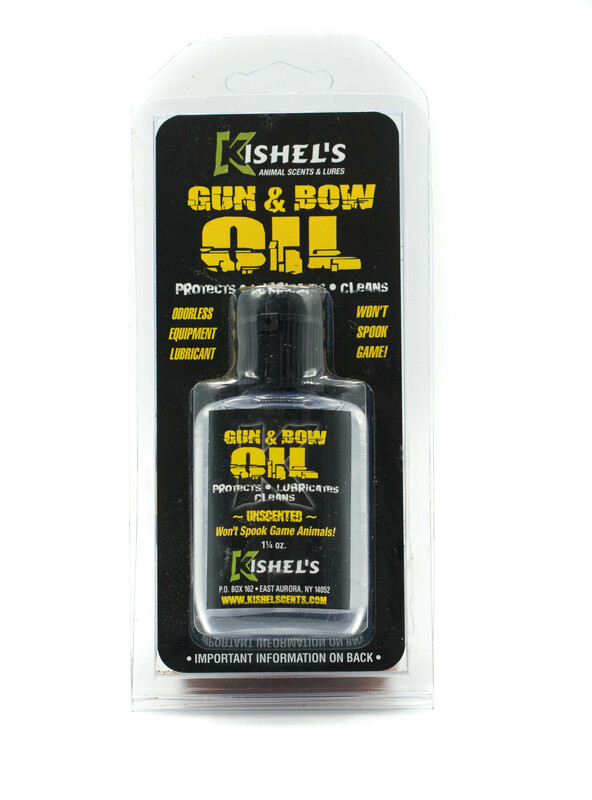 KISHEL’S BOW & GUN OIL has a superior coating layer that lasts longer and protects more effectively. This high quality, multi-purpose oil is superb in all weather conditions. It protects, lubricates and cleans without alerting game because of odor producing foreign oil distillates. Fishing enthusiasts can also use this product on their equipment.